California and Pacific Northwest Yachts has been serving the West Coast boating community since 1989. Our goal from the beginning has been to provide quality advertising. 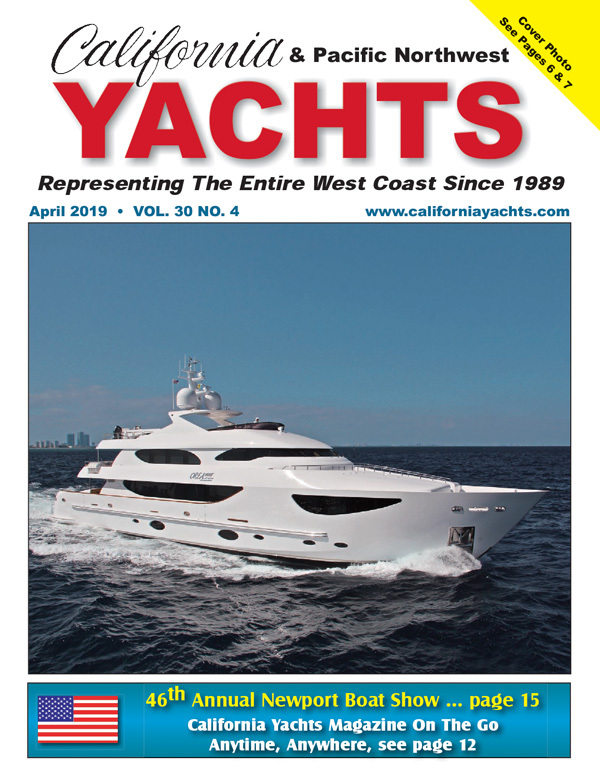 California Yachts is a magazine that features New and Used Powerboats and Sailboats. We bring together yacht brokers and yacht buyers. Our friendly staff works hard to meet your advertising needs. We are a free monthly publication, and we can be found in Southern California, Northern California, and Washington. We have expanded our distribution to include several Western States as well as Florida and have provided worldwide distribution with our Free online Magazine. If you are looking for a boat for sale, you have come to the right place. We have a large variety of yachts for sale and many fun and entertaining ways of presenting them to you. Take a look at our Feature Boats Pages and our ever changing Additional Brokers Listings We have now launched our free West Coast Boat Search and our Brokers Video Showcase to provide our advertisers with even more exposure and our readers with more choices.